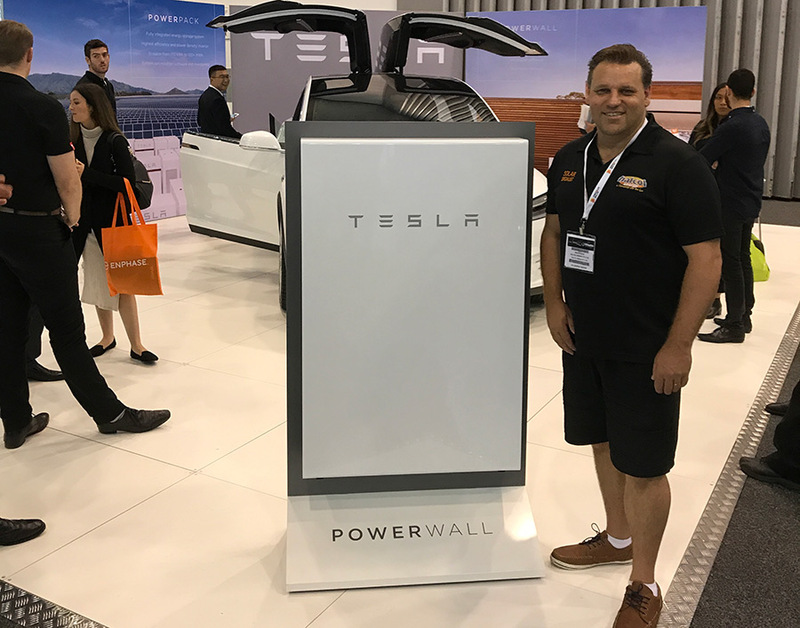 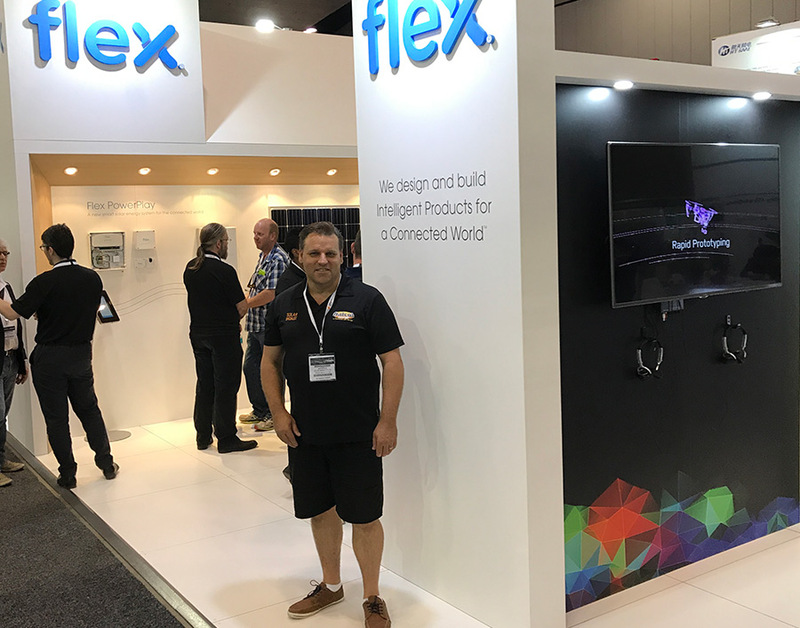 Last week we took a trip to Melbourne for the All-Energy Exhibition 2017. 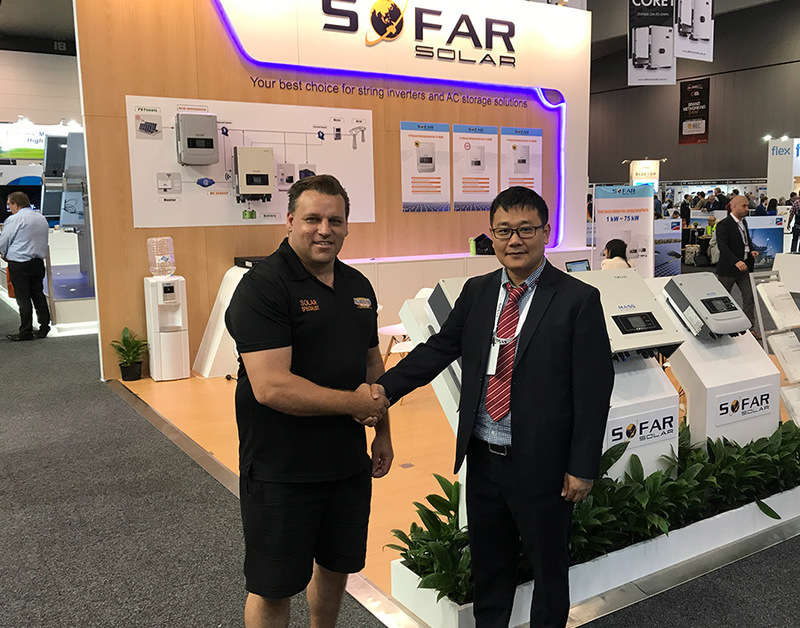 Our very own solar specialist, Martin Rudd, did the rounds and met up with our various partners and suppliers. 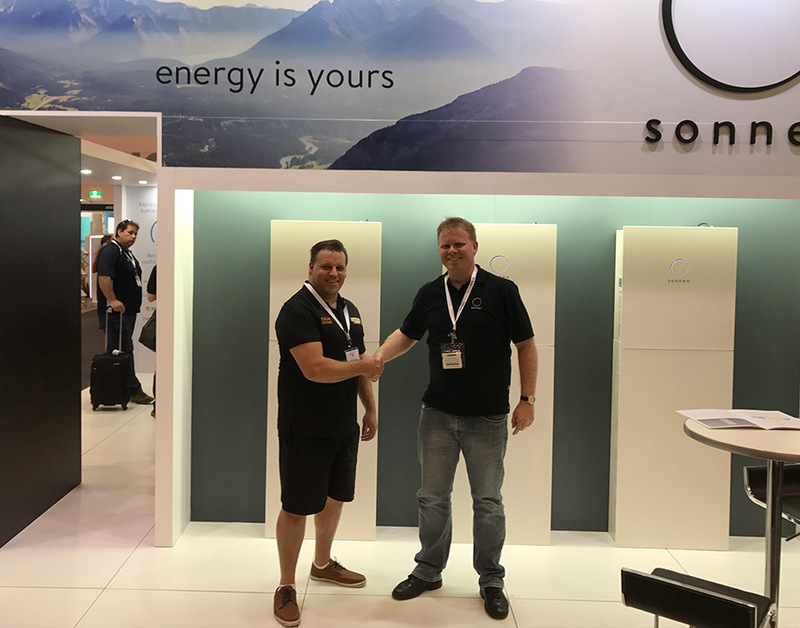 Martin is pictured here with representatives from Tesla and Sonnen, the Managing Director of So Far Solar as well as our partners from Flex.